Today I have a guest post about why teenagers need to make sure they have good posture and 5 tips on how to do that. I have talked about in the past about how we can continuously abuse the natural spinal curves with bad posture and end up diagnosed with the 23 and 1/2 hour disease. Doing the opposite by trying to take care of how you’re sitting, standing and moving is not only important to how better you look but also your general nerve, muscle and joint health in the long-term. Below Micheala will explain 5 simple posture exercise and handy tips for a teenager who could be in that poor posture stage and you are worried about them developing a hunch back or scoliosis looking spine. I like to say to patients posture is a sign of how your nervous system is feeling. You don’t see confident, happy people walking around with a slouched back and bad posture instead they look strong and a ‘perfect posture’ position. So your posture is important. 1 5 Tips for Correcting your Teen’s Posture and why it’s Important to do it Now! 5 Tips for Correcting your Teen’s Posture and why it’s Important to do it Now! Back pain is one of the most common complaints in teenagers and adults alike. Most experience a bout of back pain at some point in their lives and for some, back pain can be a continual source of aggravation and discomfort. One of the most common causes of back pain is poor posture. Your posture can be defined as the way in which you hold yourself. Good posture ensures that all of your bones and joints are aligned properly and prevents excessive strain on the muscles. Teenagers today often spend more and more time sitting down. Research shows that young people spend more time than ever sat in front of the television or at a desk in front of computers and video games. This in turn is contributing to an increase in the prevalence of back pain amongst the younger generation. Poor posture is often associated with a sedentary lifestyle as people tend to slouch or slump whilst sitting down, again creating unnecessary back pain. 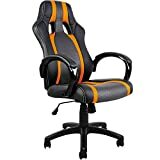 If your teenage son or daughter spends a lot of time sitting at a desk for work or study purposes or because they enjoy playing computer games or using the Internet, investing in a good chair will make a massive difference. A good chair should have a high back to support the entire length of the back and additional lumbar support for the lower back (this is usually built-in). It is also helpful to have adjustable height and arms, as this enables you to sit in a comfortable position when typing or playing a game. Most of us remember being told to ‘sit up straight’ and ‘stop slouching’ by our parents and although it may have seemed annoying at the time, teaching good habits from an early age is really important. Back problems are unlikely to go away and they tend to get worse over the course of time. Teaching good posture from an early age will also stand your child in good stead for when they are older, as they will be used to sitting up straight and holding themselves correctly. Exercise has a range of benefits for people of all ages and there are specific exercises that are very good for correcting posture. Exercises that can be beneficial for posture include push-ups, shoulder squeezes and a seated rotational stretch, which helps to release tension in the middle and lower back. Exercise also conditions the body, strengthening the muscles and therefore reducing the risk of injury. Children and teenagers spend up to 55 hours per week watching television, texting their friends and playing video games according to research carried out by Nielsen. This shift in culture, from outdoor living and playing outside, to being glued to a TV screen has undoubtedly contributed to an increase in childhood obesity and associated problems, including type 2 diabetes, breathing difficulties and back pain. Parents have a responsibility to look out for their children’s health and they should encourage them to eat well and do plenty of exercise, rather than have them spend hours everyday playing a video game. Many parents allow their child to play a game or watch TV for a limited period of time per day or week and this seems to be a fair compromise. Bad posture is most commonly associated with back pain, but it can also cause other problems, including pain in the neck, shoulders and hips, headaches, fatigue and weakened muscles. It can also make you look shorter than you are and it may also give people the impression that you are bored or disinterested. If your son or daughter is aware that bad posture can cause long-lasting problems, they may make a conscious effort to improve their posture in the future. Slouching is a common characteristic among teenagers, but poor posture can actually be very problematic. Addressing problems as early as possible and teaching good habits from an early age will help to reduce the risk of injuries and pain in the future. Back pain is extremely common in adults, especially among office workers, and this is largely due to poor posture. Correcting bad posture during the teenage years can help to eradicate problems further down the line.